Named Australian of the Year in 2003, Professor Stanley is a vocal advocate for the needs of children and their families. She is the founding Director of the Telethon Institute for Child Health Research, a multi-disciplinary centre conducting research into the prevention of major childhood illnesses. She is a Professor in the School of Paediatrics and Child Health at the University of Western Australia, and the Chair of the Australian Research Alliance for Children and Youth. In 2004, Professor Stanley was honoured as a “National Living Treasure” by the National Trust. She is the UNICEF Australia Ambassador for Early Childhood Development and has served on the Prime Minister’s Science, Engineering and Innovation Council (PMSEIC) for several years. Figure 1. 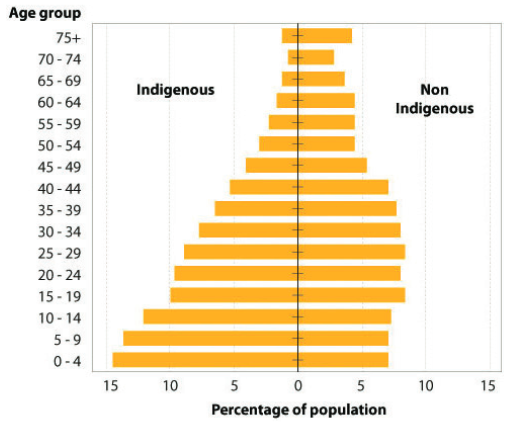 Population pyramid demonstrating the relative youth of Australia’s Indigenous population, 2009. Surely we don’t need any more research? Surely we know what to do to improve Aboriginal health? Surely we know the best environments for healthy child development? In this article I provide a rationale for Aboriginal child health research, give a history of my own personal journey in Aboriginal child health from the 1970s to 2011, give examples of our research and its application to improve outcomes and how we have provided the environment to build the careers of Aboriginal researchers; and finally, end with several recommendations. To be an advocate for children, for research and for social justice.